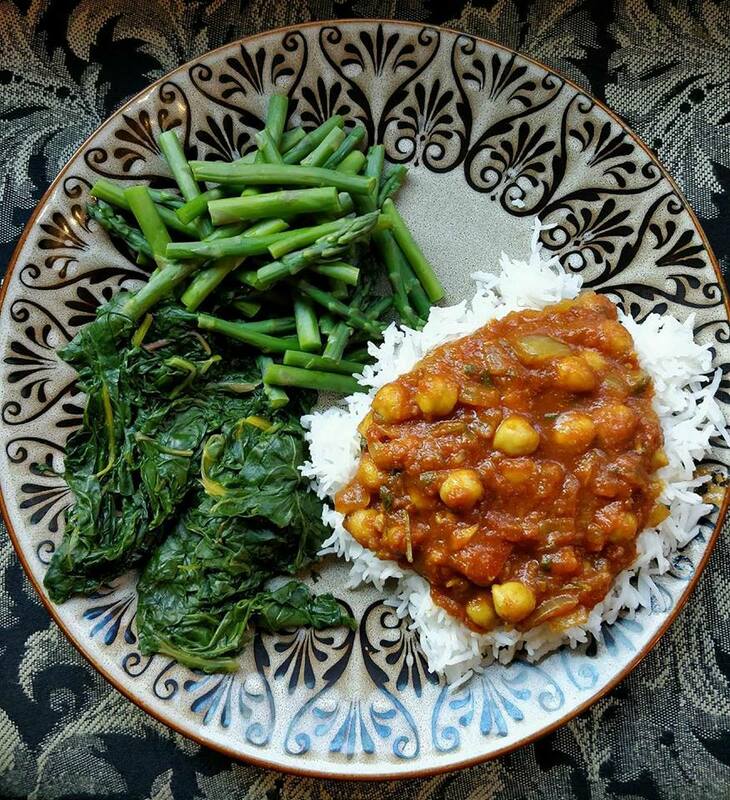 I have revised this recipe on 2/3/2018, adding in an option for cooking this dish in the pressure cooker using DRY garbanzo beans, that have been soaked for 8 hours, rinsed, and drained. See the Pressure Cooker Instructions below for that version. NOTE: You can add in some fresh spinach or other chopped greens into the chana masala at the end of the cooking process. Steamfry the chopped onion in a large saucepan until tender and translucent. Then, add the chopped cilantro, ginger, and garlic and cook another 2 minutes. Add in the crushed tomatoes, water, the coconut sugar, and ALL of the dry spices listed. Finally, add in the cooked garbanzo beans. Bring everything to a gentle rolling boil, reduce heat, and simmer (covered) for 30 minutes, stirring often. Serve over cooked Basmati rice. Soak about 8 oz. of dry garbanzo beans for 8 hours, rinse, and drain them. Add them and all of the ingredients to the pressure cooker--fill the pot with water, just to cover everything. Then, cook for 45 minutes on high pressure with NATURAL RELEASE. 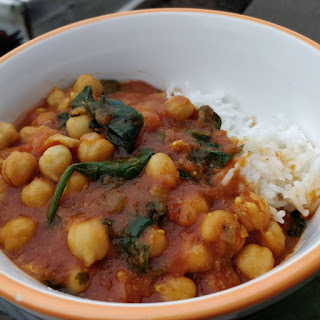 If you like it thicker than it comes out after stirring it up, you can take 1 1/2 cups of the cooked chana and a little liquid and blend it in a cup blender. Then, pour that mixture back into the pot, stirring it in with the rest of the chana masala. Serve over cooked Basmati rice. Sounds delicious!! Did you simmer with it covered? Thank you! Yes, I just updated the recipe. Thanks for pointing that out! ENJOY!